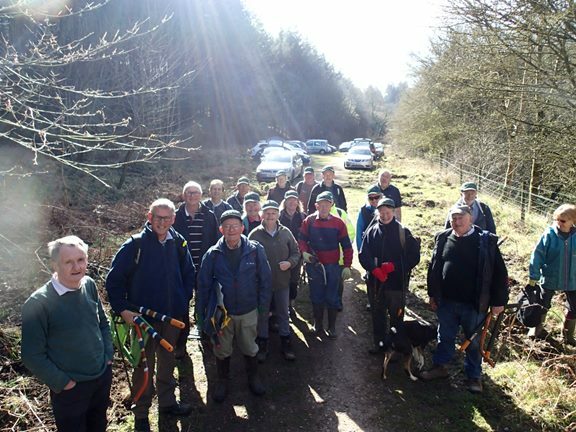 Blessed with glorious weather the team had various tasks to do and everyone enjoyed the day. There was a lot of litter picking to do as the site is fairly near to the Ruspidge road so a mountainous pile of rubbish was collected. There was a lot of very ancient wire to be removed and it was probably from the old railway line fences which is now on the trail track. There were large trees to cut down which had fallen over one of the footpaths. 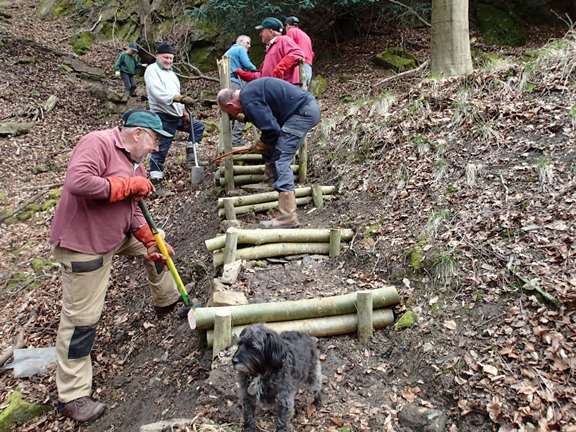 The picnic area was tidied up and wood piles created AND steps were built up a slippery slope leading to Shakemantle Quarry. The team at the start of the day. Whoops! 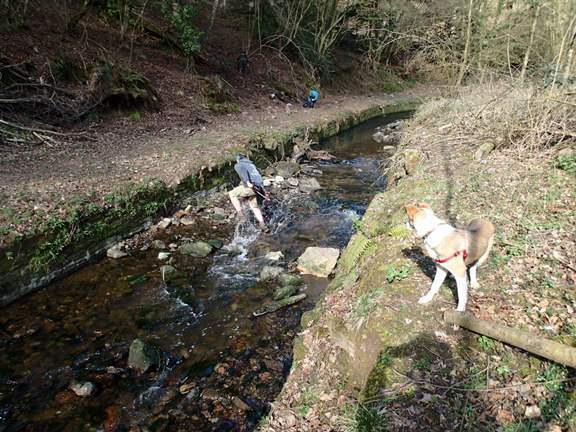 Trying to cross Soudley Brook was only for the intrepid! Step building on an extremely slippery slope. Hod Boys were literally boys, small and young, who dragged hods or drams full of coal from the coal face to the main shaft through some of the very low (2ft or less) working tunnels. 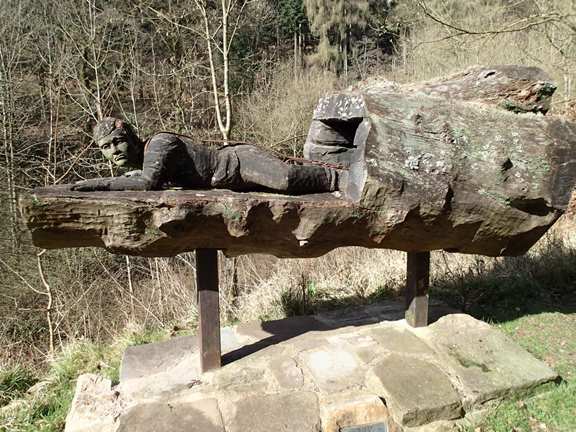 There are other sculptures along the trail and it is well worth a visit.